Simple Guide 101: How To Plan A Party Within A Budget? Not everyone can manage lavish parties, and that’s okay. If you intend to plan a party within a budget, it is necessary to find ways to save money and get things done without many compromises. In this post, we bring a simple guide on how to plan a party. Sort the guest list. Most of the other things for a party depend on the guest list i.e. the people who will be attending the event. To be more precise, food choices for kids would be very different than that of adults for an anniversary. Consider the occasion and let your guests known in advance, either through invitations or verbally. Outsource catering. Caterers can work within a budget, and you can order from a diverse range of food items. You don’t have to settle for full-service catering on a small budget, but get the food delivered, which can be reheated before serving. Also, this saves a lot of time. Focus on décor. Even small events can look lavish with the right part decorations. There are online stores that store a wide range of decor items, right from simple banners and tissue decorations to confetti, hanging decorations and more. Create a theme. Budget events can be spiced up easily with a good theme. You don’t have to spend a huge budget on this, but consider setting a theme before you shop for party décor, and don’t overdo it – Minimalism is the key. Set a contingency fund. Chances are high that you already have a budget in mind before planning the party, but what’s also important is to have a contingency fund. Costing may go haywire in certain departments and it’s to have some spare money. Consider what you can include in entertainment. If it’s a family gathering, you don’t have much to do in terms of activities, but for your guests to stay invested and entertained, you need at least some basic form of engagement. This can be a special performance or games. Do everything in advance. Just words are not enough to stress on the importance of advanced planning. If you start early, you have enough time to plan for alternatives, just in case things don’t fall in place, and also, this ensures that you can double-check all the arrangements. 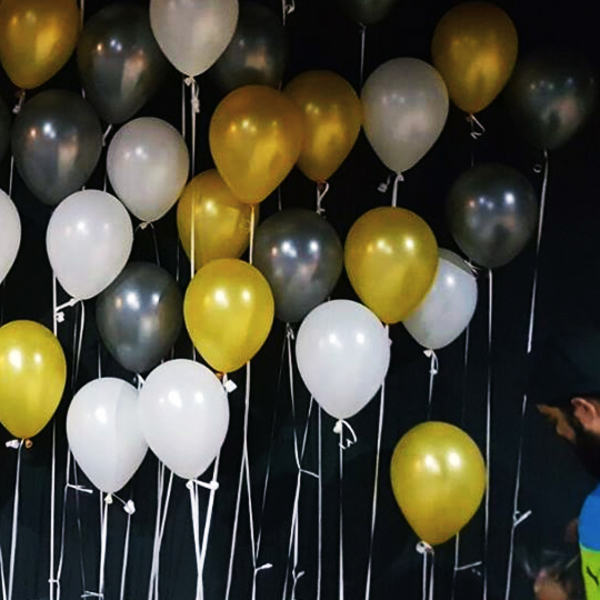 Check online now to find party decoration items at affordable prices, and if possible, get extras for a bulk discount to be used for the next in-house event.